Deciduous tall tree. One of the best oaks for autumn colour. Popular street or shade tree. Deeply cut shining green leaves, turning rich scarlet in autumn. This variety drops its leaves completely after autumn show. 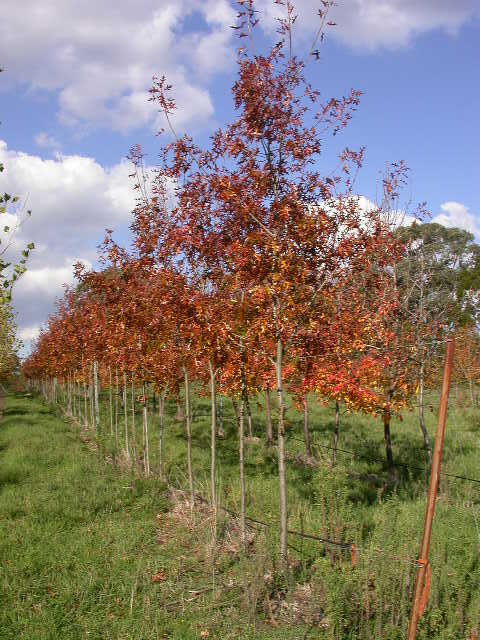 Hardy tree once established, tolerating dry conditions and full sun. Pest resistant, vigorous growth approximately 45cm per year. Broad pyramidal becoming rounded in age. Fine specimen tree.